For once, the Congress functioned like a well-oiled machine, operating seamlessly between Delhi and Bangalore. As the results of the Karnataka Assembly elections were unfolding on May 15, I was sitting at a Malayalam news channel’s New Delhi studio as their political analyst for the day. 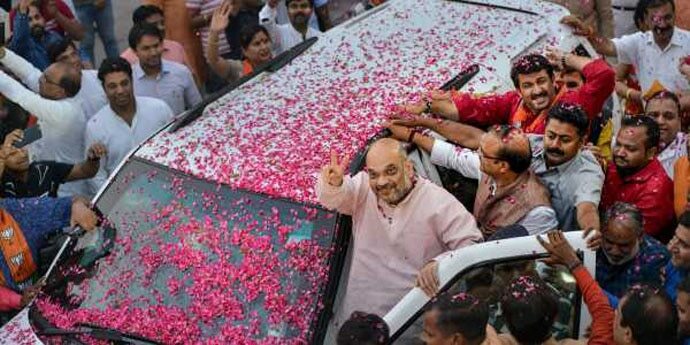 Despite opinion polls and exit polls remaining inconclusive, the verdict looked increasingly in favour of the BJP around 1pm, with the leads showing the saffron party surging ahead in 109 seats. After quickly walking across to the Janpath Lounge on Tolstoy Road adjacent to the studio for a quick bite, I began typing frantically on my laptop, trying to make sense of the BJP’s fine show for a 700-word article that I had committed to based on the trends. But just as I was about to finish – occasionally distracted by suited-booted gents on adjacent tables showering praises on Modi and Shah and panning the Congress in equal measure – I got a call from the studio to rejoin them at 2pm along with the crucial information that the BJP lead was now down to 104. I decided to hold my article since I didn’t want to risk cutting a sorry figure – as many analysts end up doing on such days of fluctuating fortunes (recall Bihar assembly election of 2015). That trend persisted for some time and around 3pm, the game had completely changed. To the utter shock and disbelief of one of the panellists on air, the news of Congress offering unconditional support to the JD(S) came in. The celebrations at the BJP headquarters came to a sudden halt and the Congress – which was facing an embarrassing loss minutes ago– had turned the tables on BJP. It was the kind of move that nobody expected the Congress to pull off. The drama had only begun. On air, the Marxist ideologue – who is also a seasoned journalist and former resident editor of a national daily – dubbed this move “immoral” even as I hailed it. I reasoned it would be a game changer for opposition unity and pay off for the Congress and the opposition as a whole come 2019. The ideologue took issue with my justification and lamented the eroding sense of “ethics and morality” among young journalists. Meanwhile, in Karnataka, the Congress and the JD(S) got their act together and moved their MLAs to Bangalore. Shortly after they made their claim and HD Kumaraswamy was denied appointment by Governor Vajubhai Vala, it emerged that the BJP wasn’t giving up and Yeddyurappa too would stake claim with a formal letter. On the next day (May 16), as it seemed the Governor would invite Yeddyurappa as the largest party to form the government, Congress leaders met in Delhi to chart out a plan to deal with it legally. Abhishek Manu Singhvi – who led the Congress’ charge in the Supreme Court – was out of station, and had to be rushed back to Delhi. As soon as the Congress got confirmation of the Governor’s invite to Yeddyurappa for a 9am swearing-in (pre-empting a court injunction as court proceedings begin only at 10.30am) midway through their press conference at AICC headquarters, it rushed its lawyers to the Supreme Court to seek an urgent hearing. By midnight, it was revealed that the Supreme Court would hear the matter at 1.45am. Singhvi and team argued their case valiantly but the court refused to defer or restrain the swearing-in of Yeddyurappa. Even as all this was happening in Delhi, aggressive poaching bids were being made in Bangalore for the Congress and JD(S) MLAs. By then, the MLAs had been moved to the Eagleton resort. The next day (May 17), following the swearing-in of Yeddyurappa, changes were made in the police set-up and renewed poaching bids were made after the withdrawal of security at the resort. Except for Vijayanagara MLA Anand Singh, the flock held together. I spoke to a couple of top Congress leaders, including an AICC in-charge of the state hailing from Kerala, who told me how the decision to record the BJP’s poaching bids on the phone was taken. Many Congress legislators from North Karnataka region, especially the Lingayat MLAs, were receiving offers of obscene sums of money and other inducements, including Cabinet ranks. The decision to record these calls, at least a dozen of them, turned out to be a “masterstroke” in hindsight, according to one of them. After an aborted plan to fly them out to Kochi following denial of clearance by the ATC, it was decided that the MLAs would be taken by road to Hyderabad. In Delhi, the next hearing of the Congress petition was scheduled for May 18 (Friday) 10.30am, and by noon, the decision of the court to move the floor test ahead to Saturday was known (some Congress leaders confided in private that they had expected it to be held only on Monday). By Friday evening, another controversial move by the Governor to nominate BJP’s KG Bopiah as pro-tem speaker, overriding the nomination of the legislature secretariat of senior-most legislator RV Deshpande, also caused considerable consternation in the Congress camp. Bopiah was incidentally the pro-tem speaker even in 2008, when the BJP’s “Operation Kamal” had helped the minority Yeddyurappa government cross the magic figure. The Congress was not ready to yield an inch this time and once again challenged the move with an interlocutory application next morning in the court, before the swearing- in proceedings were to begin in Bangalore. The court didn’t entertain it and were satisfied with the assurance given by the additional solicitor-general to telecast the proceedings live. While the BJP refused to throw in the towel even when it clearly looked like they didn’t have the numbers, nobody really knew what was going happen on the floor of the House. As “missing” Congress MLAs Anand Singh and Pratapgouda Patil eventually turned up and joined the Congress ranks in the Assembly, the speculation of Yeddyurappa resigning without facing the vote looked plausible. And that is exactly what happened, as the BJP central leadership instructed Yeddyurappa to follow that course. It was a timid end to all the political machinations and manipulations witnessed till that point. The Congress rank and file, used to successive defeats since 2014, were pleasantly shocked at the kind of dexterity and enterprise shown by the party to ward off the attempts of poaching and get the better of the BJP. Having punctured the air of invincibility around the Modi-Shah juggernaut, Congress goes into the crucial winter elections of Madhya Pradesh, Rajasthan, Chhattisgarh and Mizoram with confidence. After bragging too soon of a “15th straight state win” on the evening of May 15, Amit Shah had to eat crow. The call recordings involving top BJP leaders trying to induce and bribe Congress MLAs released in the hours preceding the floor test had the BJP strategists running for cover. Congress sources revealed their strategy was set in place on May 13, a day after the election, when Congress’ Ghulam Nabi Azad contacted JD(S) spokesperson Danish Ali. As the pointsman of the JD(S) in Delhi, Ali has been a busy man at the party headquarters at VP House. He readily conceded that it was the Congress that took the lead in the negotiations. Although there have been reports that Rahul Gandhi wasn’t calling the shots in these decisions, reliable sources rubbished such claims by “vested interests”. In fact, Gandhi is supposed to have taken the call to extend unconditional support to JD(S) in the event of the Congress falling short of 100 seats. 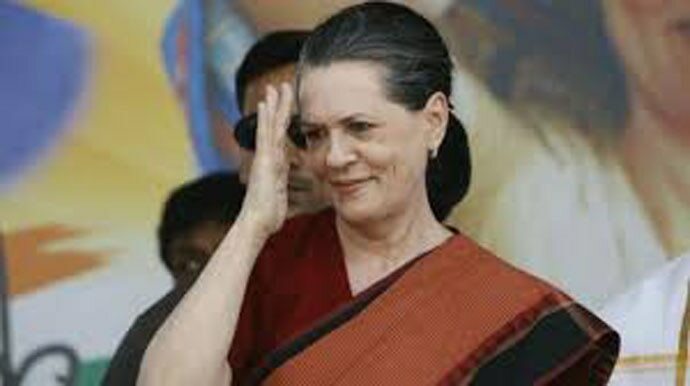 With HD Kumaraswamy away in Singapore, Sonia Gandhi picked up the phone to call JD(S) patriarch Deve Gowda and Rahul Gandhi rang up Sitaram Yechuri to request his intervention to make sure there wouldn’t be any hiccups. Even as BJP leaders now cry foul and accuse the Congress and the JD(S) of entering into an “unholy” alliance, a top BJP source admitted to me on the phone that Congress beat the BJP in taking the lead and stumped the saffron party with their uncharacteristically quick moves. Congress leaders had the good sense to anticipate the scenario of the BJP courting the JD(S) and thereby losing another Opposition party to the ranks of the NDA, like with Nitish Kumar’s JD(U) in Bihar last year. They stole a march over the BJP after touching base with the JD(S) in Delhi and flying their top political brains, Ahmed Patel and Ghulam Nabi Azad, to Bangalore a day before the counting on March 14. The top legal eagles of the party were ready to back them up in Delhi for any eventuality. For once, the Congress party functioned like a well-oiled machine and operated seamlessly between Bangalore and Delhi. The political thriller in Bangalore seems to have culminated with Yeddyurappa’s resignation and HD Kumaraswami’s swearing-in being scheduled for Wednesday. 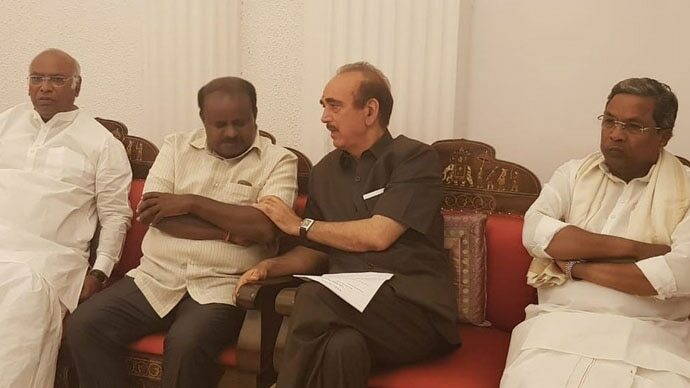 While it is highly unlikely that there would be any more hiccups when Kumaraswamy takes the floor test in the Assembly, the political theatre switches to Kairana in Uttar Pradesh, where a joint opposition candidate takes on the BJP for the by-election scheduled for May 28.